The phrase is enough to send chills down the spine of the most hardened individual: “You’re going to be audited.” A tax audit by the Internal Revenue Service (IRS) can be a frustrating, time consuming, expensive and exasperating experience. 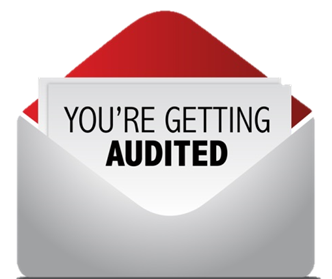 The best way to approach an IRS audit is to do all you can to try and avoid one in the first place! According to financial author Glenn Curtis, “The key to avoiding an audit is to be honest, document your deductions, donations and income.” He goes on to cite six “red flags” in tax filing that could raise the interest of the IRS and increase the chances that you will be audited. You can read the full text of Curtis’ article here. If you are one of the “lucky ones” selected to have your tax return audited, don’t panic. You don’t have to face the IRS alone. In fact, you shouldn’t attempt to go through the audit solo. Get in touch with your tax accountant immediately so that they can begin gathering the necessary documentation, receipts, etc., and planning how best to approach the audit itself. For more information about IRS audits or any other tax issue, please contact Gray, Gray & Gray.